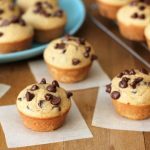 An easy recipe for gluten-free vegan Mini Chocolate Chip Muffins that you can have ready in under 30 minutes! They’re perfect for lunch box snacks and after school snacks! How perfect does that little muffin above look? 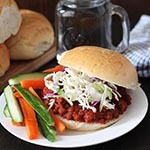 When I was shooting the photos for this recipe, I took that picture along with the last picture at the bottom, as extras, not thinking I’d use them. But fell in love with them when I was editing my photos because they show how perfect these mini chocolate chip muffin gems really are. Before we get to the finished treats though, let’s talk about the preparation so you end up with the same lovely little muffins as I do. What is the batter for these muffins supposed to look like? This is a question I received MANY times about my cake doughnut mini muffins and pumpkin spice mini muffins They are similar recipes to this one, so let’s talk about that. If you make substitutions, the batter may be thicker or thinner and the recipe may not work the same as mine does, so keep that in mind. 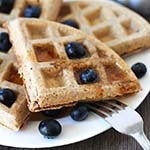 Will this recipe work with coconut flour? No, coconut flour will NOT work in this recipe. This is another question I receive a lot. Coconut flour definitely has its place, but I rarely use it (I do use a little of it in my coconut date squares recipe) because it’s a tricky one to work with and cannot be substituted 1:1. Coconut flour almost always needs to be used in conjunction with another flour and in many cases, lots of eggs, which I do not use. It also soaks up liquid like crazy and if you don’t use it properly, you’ll end up with a dry, crumbly recipe fail. As mentioned, coconut flour definitely has its place and can be amazing when used correctly, but unless called for specifically in a recipe, I would steer clear of substituting with it. 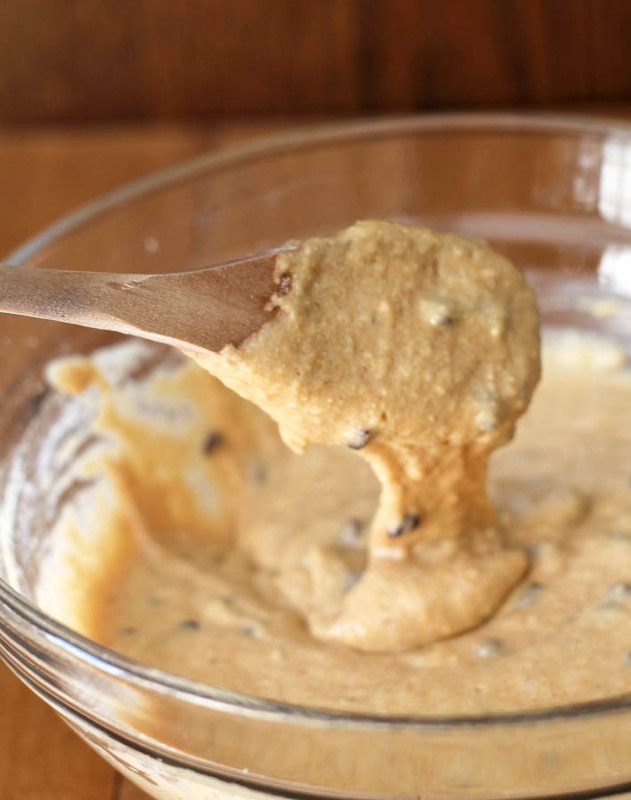 So now that your mini chocolate chip muffin batter is done, the next step is to spoon it into your mini muffin pan. Sprinkling extra chocolate chips on top is totally optional, but recommended! A few readers have asked this question so I thought I’d share some info about this. There are many vegan chocolate chip brands on the market, to find one, be sure to read ingredient lists and look for dairy ingredients. The vegan chocolate chips I use for this recipe is by Enjoy Life and all of their products are allergy-friendly and their chocolate chips are 100% vegan. (I link to the chocolate chips in the ingredients list below.) These shout-outs to Enjoy Life and their chocolate chips are not sponsored, I just really like their products and use them often! 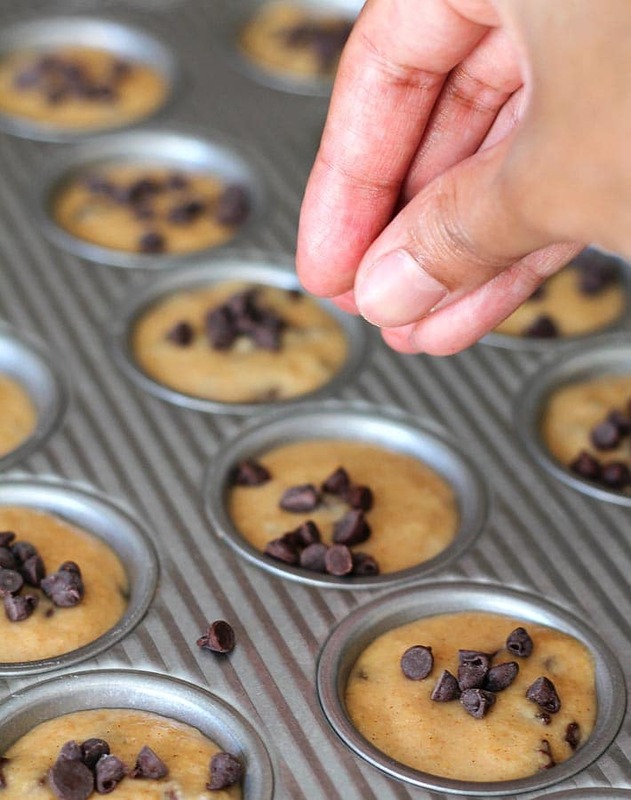 Your vegan gluten free chocolate chip muffins will take just 10 minutes to bake and when done, you’ll have 24 perfect mini treats to share with everyone because there are 24 of them! Delicious mini chocolate chip muffins with applesauce, without butter, without eggs, without milk and without wheat. Vegan gluten-free baking is amazing, isn’t it? Your muffins will keep for a few days if stored in an airtight container. I find that the things I bake with gluten-free flour blends tend to stiffen up as if they’re stale the day after being made. They’re not stale, it’s just the nature of the flour blend, so remember that if enjoying them any time after the day they were made. 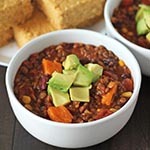 A quick few seconds in the microwave will bring them right back to their delicious freshness from day one. And you know I always like to include a shot of what the inside of the finished treat looks like, so here you go! 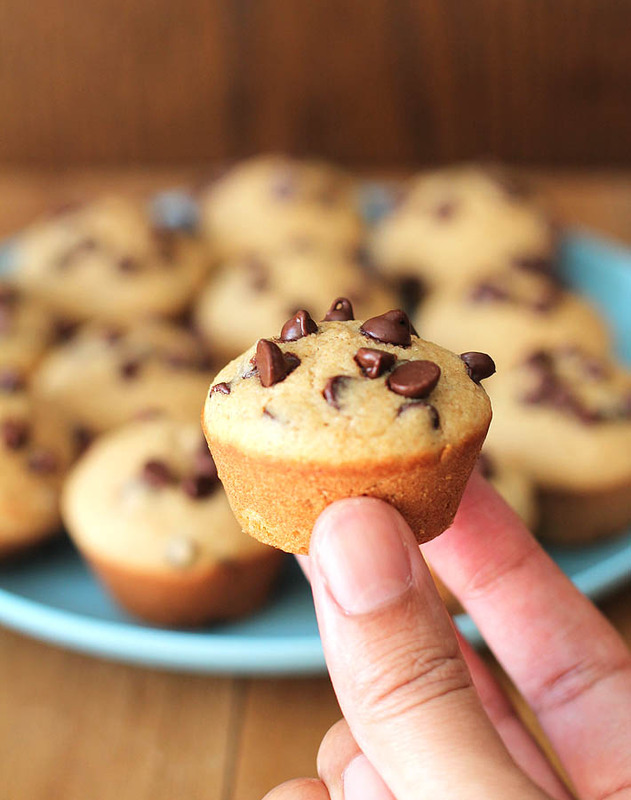 Fluffy vegan mini chocolate chip muffin perfection, right? Can I make these muffins in a regular sized muffin tin? You can, but you will need to bake them for longer, roughly 18-20 minutes, same oven temperature. Check to be sure they are done by sticking a toothpick into the center of the largest muffin and if it comes out clean, they’re done! 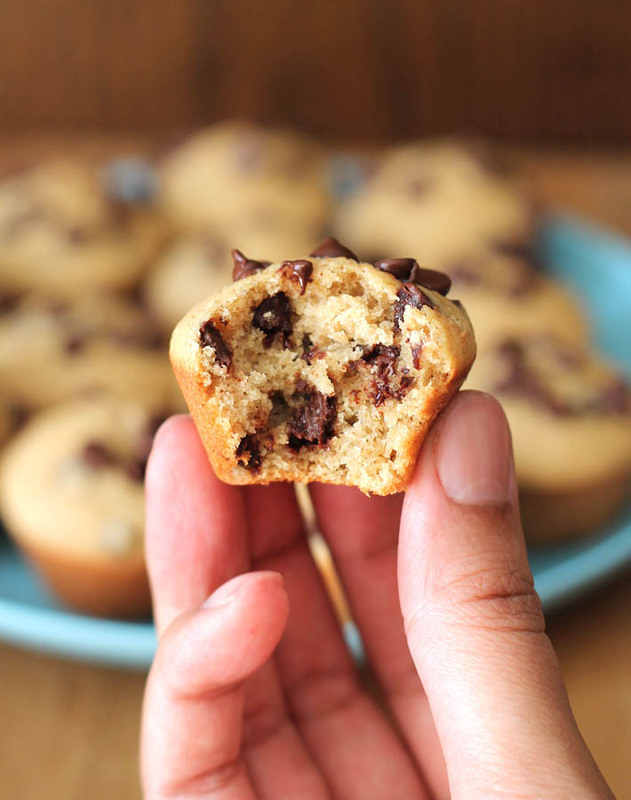 An easy recipe for vegan gluten-free Mini Chocolate Chip Muffins that you can have ready in under 30 minutes! In a large bowl, whisk the flour, baking powder, salt, sugar, and cinnamon. Fill each muffin cup until they are 3/4 full. 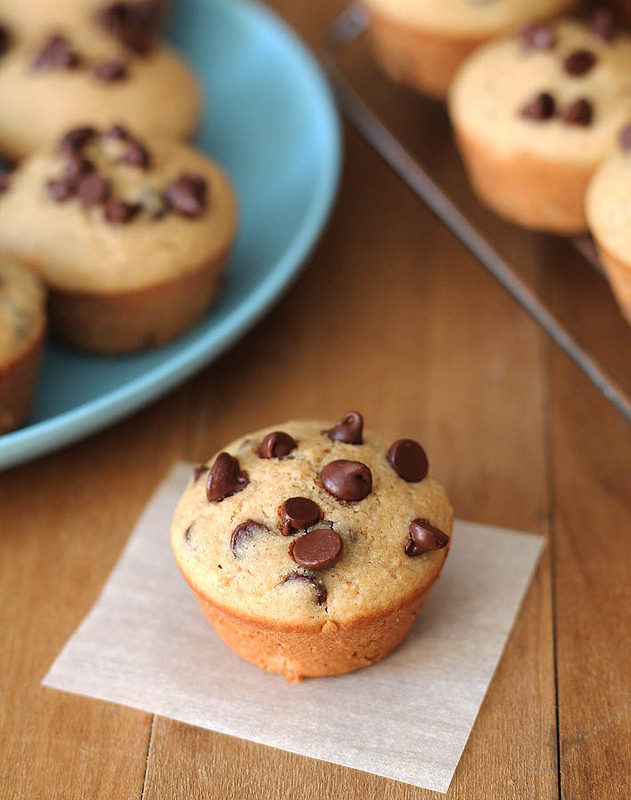 If using, sprinkle mini chocolate chips on top of each muffin. Remove muffins from tin and place them on a cooling rack. Nutrition info listed below is for 1 of 24 chocolate chip mini muffins without extra chocolate chips sprinkled on top. This info to only be used as a rough guide. Click here for more info on how nutrition info on this website is determined.